The Wall Street Journal is out with some dire news regarding Dubai World, the investment arm of the freewheeling geniuses who created the "Vegas in the Middle East." DUBAI (Zawya Dow Jones)--Dubai's efforts to deal with its mountain of debt estimated to exceed $80 billion were dealt a hammer blow Wednesday after it asked for a standstill on the obligations of one its largest state-owned companies. The request to extend the maturity until at least May 30 on Dubai World's debts, which include a $3.52 billion sukuk due December issued by its subsidiary Nakheel, raised wider concerns about the emirate's ability to meet its financial commitments. Eckart Woertz, chief economist at the Dubai-based Gulf Research Center, said that a failure to repay Nakheel's sukuk due December "will destroy a lot of confidence." These sovereign investment funds have served as the investor of last resort for multiple deals that have been truly disastrous. MGM Mirage (MGM) is out today calming its investors regarding Dubai World's involvement with the enormous City Center project in Las Vegas, where condo prices were recently chopped 30% in order to spur sales. 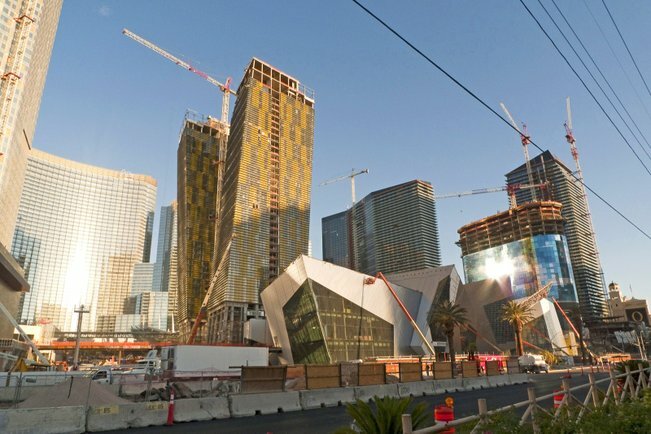 "MGM Mirage isn't expecting to make much from condo sales at CityCenter. The project's $8.5 billion budget assumes condo sales of only $250 million – a negligible amount relative to the $2.6 billion worth of condos the company hoped to sell before the recession. The company hoped to use those sales to offset CityCenter's cost, boosting profit for owners MGM Mirage and Dubai World. CityCenter has sold at least 55 percent of its roughly 2,400 condo and condo-hotel units. 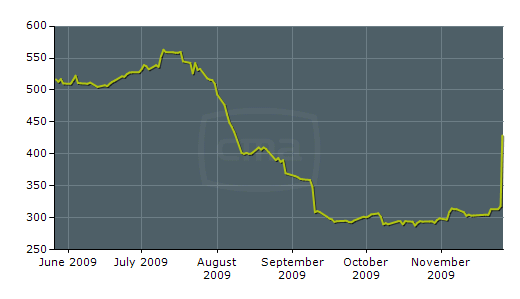 Buyers began signing purchase contracts for the units in January 2007. Condo units that once sold for $1,000 to $2,000 per square foot are now selling for well under $1,000 per square foot, though MGM Mirage has touted CityCenter as a unique brand that will command a premium price in Las Vegas." "MGM Mirage, which jointly owns the development on the Las Vegas Strip with Dubai World, said Dubai World had already fulfilled all of its commitments to funding City Center. Those investments have totaled about $5 billion dollars, according to MGM Mirage spokesman Alan Feldman."